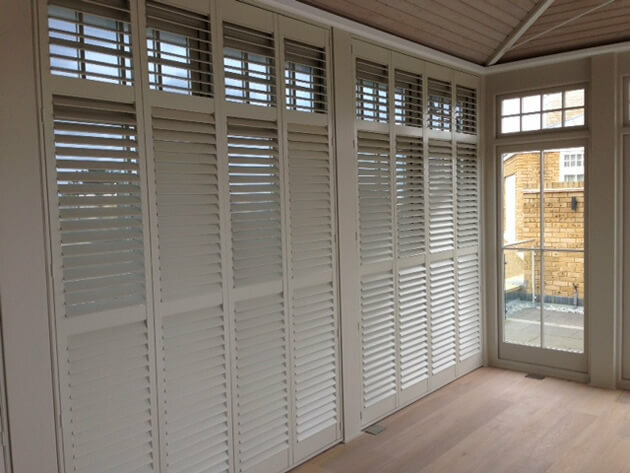 We were recently asked to design and install some of our bespoke plantation shutters to a top roof conservatory in Clapham in the London Borough of Wandsworth. 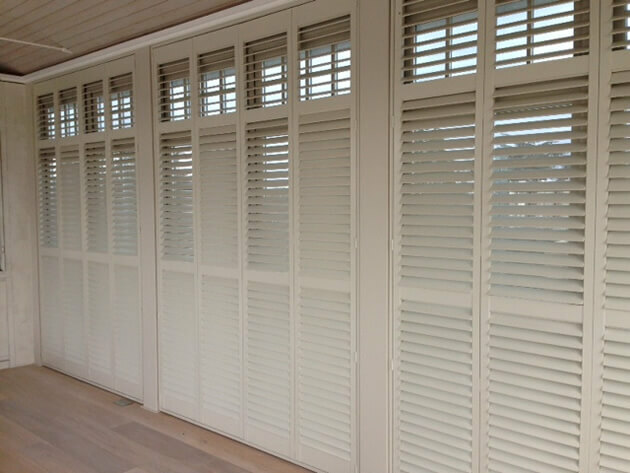 The shutters needed to provide complete privacy, but also allow for great filtering of light throughout the day. 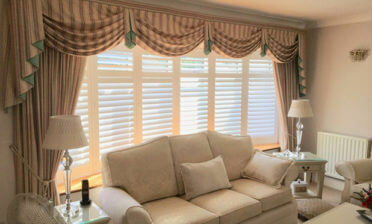 The shutters can also be fully opened to provide maximum light into the room when required. 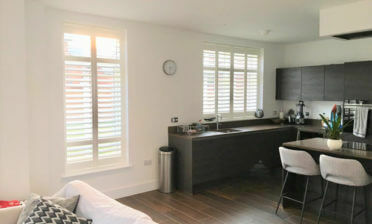 The shutters were constructed using our Fiji Range which is a full bodied hardwood renowned for its rigidity making it perfect for this job. 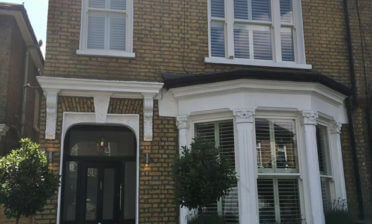 There are also many stains and paints that can be applied to this range of shutters making them a great option for matching existing decor. The client opted for Ivory Lace paint to match the walls in the room. 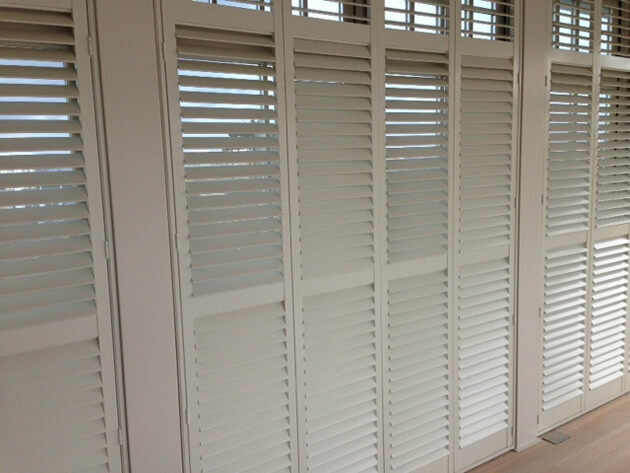 These shutters are full height with 64mm louvres and 2 mid rails allowing for different levels of light control through the hidden tilt rod system.